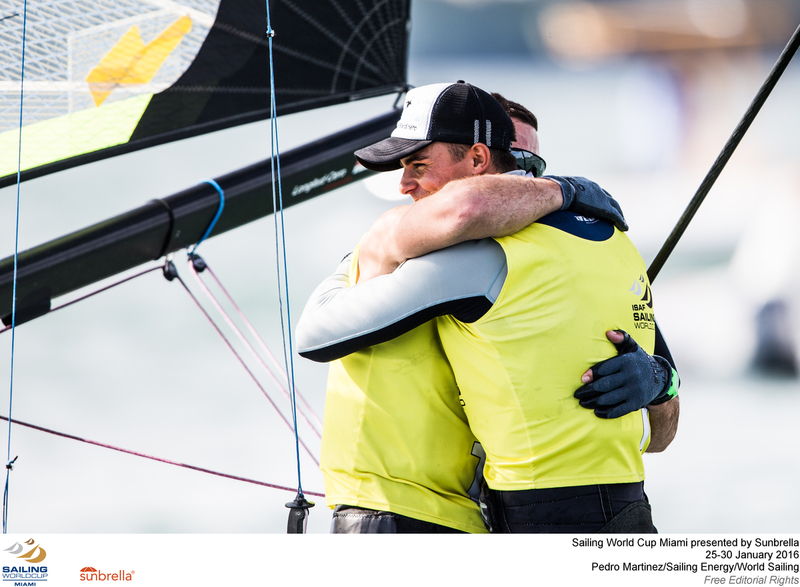 At ISAF Sailing World Cup Miami, presented by Sunbrella, 716 sailors came to compete in ten Olympic classes. Five days of qualifying races ended Friday. Now ten boats advance in each of those ten classes. Allowing for double-handed boats, that computes to 150 sailors on the water for the Medals Races on Saturday. The other 566, all of them hopeful, all of them skilled, are free to go. The Finns actually got two races sailed in winds down to 4 knots at times. A little heel to weather was in order. The most bitter loss on Friday, of course, was to place 11th. On Saturday, with three medals per class, make that fourth. The Paralympic classes have completed their dance cards. They don’t sail a medals race. And it’s just possible that Norway’s Bjornar Erikstad is still grinning from Thursday’s race seven. That was the one where his two closest competitors, both leading him in the standings, were OCS (On Course Side, aka over early at the countdown to the starting signal) and he was “OSS” or – no, this one’s not in the official book – On Start Side. Where you want to be. And then the wind dropped out. And time ran out on completing the dance card. Erikstad was left right there. Stuck in gold. Numbers are cruel. Timing is everything. 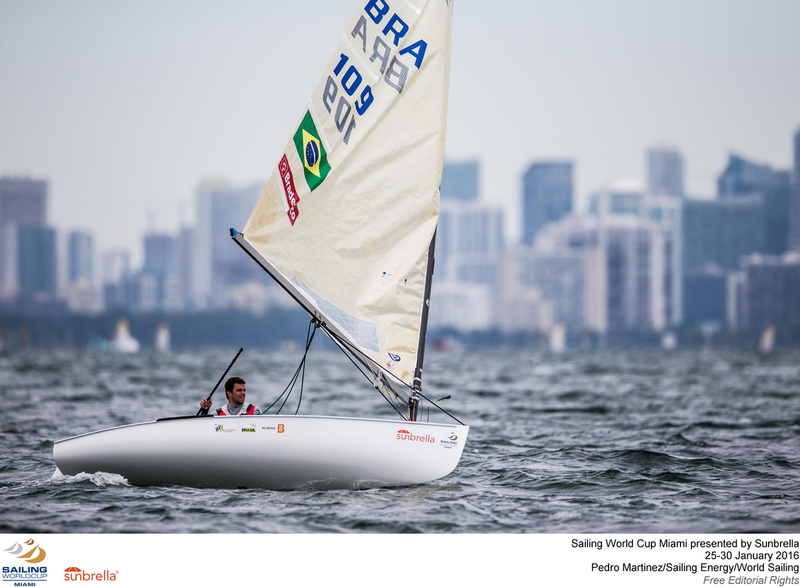 SAF Sailing World Cup Miami 2015, presented by Sunbrella, is sponsored by Beneteau, Jeanneau, Lagoon, Sperry Top-Sider, Chubb, and the City of Miami. Thank you to our supplying sponsors at Harken, McLube, Coral Reef Sailing Apparel, University of Miami Health System, Vetus-Maxwell, and Adventure Sports. The difficulty of these races so far has done more than any number of easy wins could ever do to validate the reputations of a few people who keep themselves at the top of their fleets. Time after time. No matter what. Dance . . .on a tightrope? What is the secret sauce of the Finn dinghy that makes it happen that, again and again, there comes one man who owns his moment? Start with Paul Elvstrom, who introduced the concept of sailor as athlete. In the Finn. Where he out-trained the competition and ground them down on those occasions when he couldn’t outsmart them. Four Olympic gold medals, and it took a generation before Ben Ainslie could rack up a bigger medal count. In the Finn. Dominating. In a boat so physically demanding, the best way to describe it would be, say, the athletic equivalent of a horse race where you have to carry the horse part of the way. At the moment, that man would be Giles Scott. He’s “riding on rails” as they say. He doesn’t yet have the medal count . . . But he owns the moment. 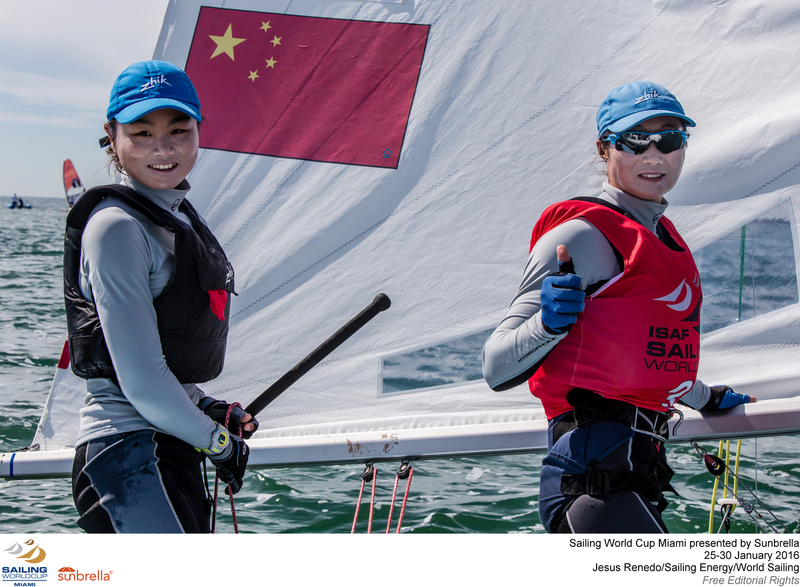 Elsewhere around ISAF Sailing World Cup Miami, there are other shining examples of the control of chaos. Just, no one riding an 18-month winning streak to rival that of Giles Scott. Here is a look through the fleet as we anticipate another day on Wednesday that should be much the same, but perhaps with a few knots more average breeze. We’re still early in a regatta scheduled for six days of racing, including a Medal Race on Saturday for top-ten qualifiers. 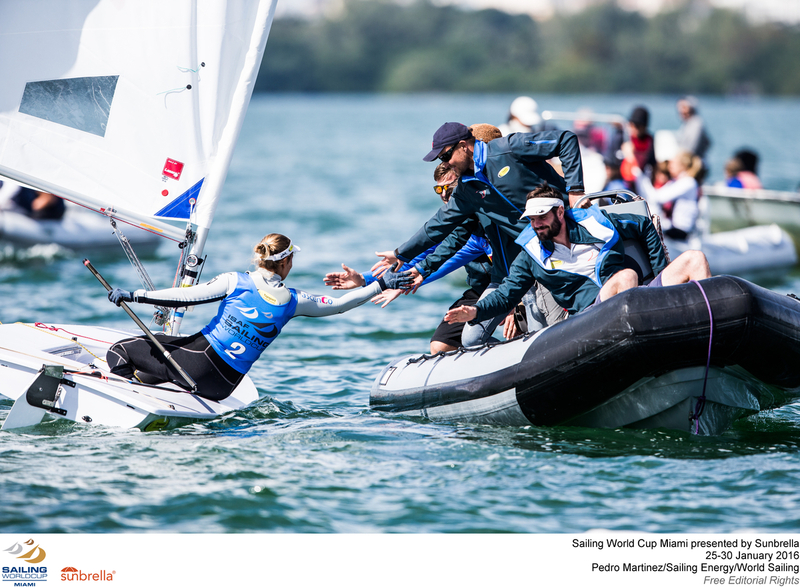 At stake are qualifying points and slots for the finale of the six-event international series that has become the proving ground of the would-be Olympic sailor. After that, an athlete is either ready for Rio and the 2016 Olympic Games, or not. 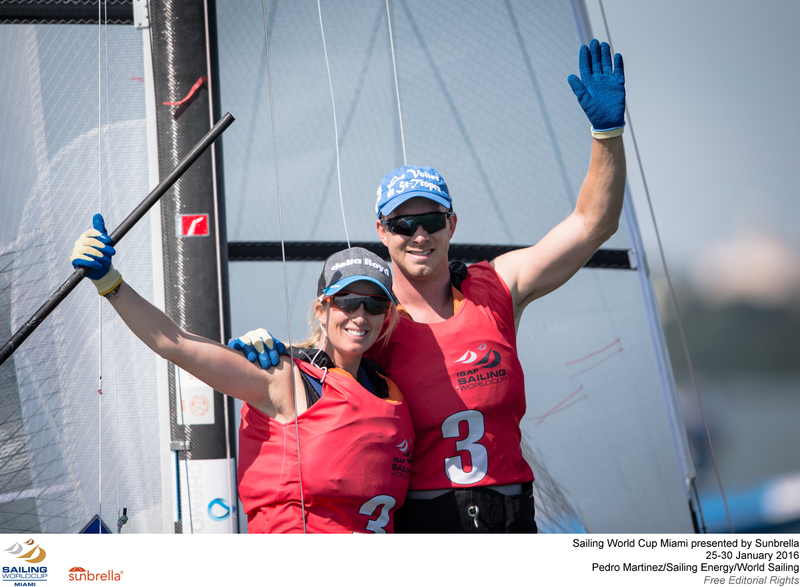 The day’s other race wins went the way of Renee Groeneveld and Steven Krol (NED) who are 11th overall and Ben Saxton and Nicola Groves, (GBR) who are seven points off the Kiwi leaders. Brazil’s five-time Olympic medalist, Robert Scheidt, owned the course today along with Aussie Matthew Wearn. Sailing in separate divisions of the 107-boat fleet, each won a race. 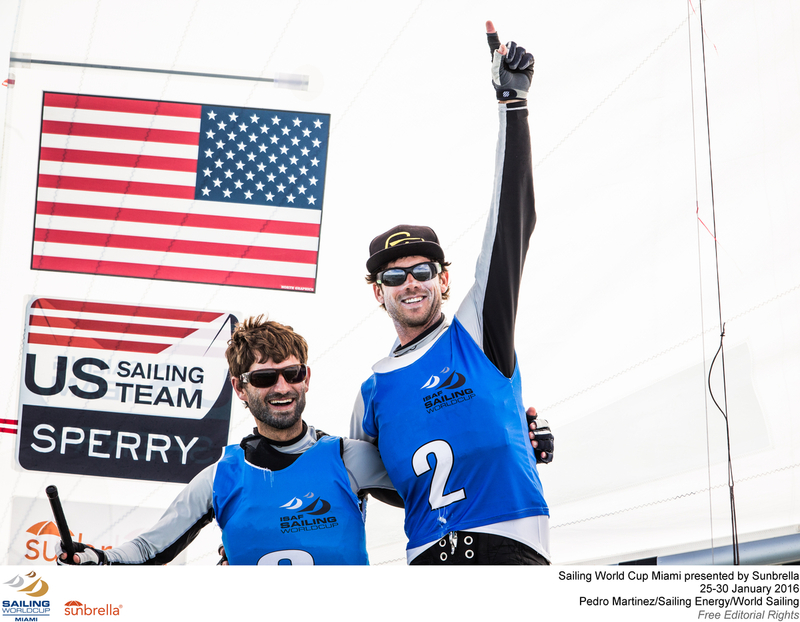 After five races, Scheidt leads the standings with scores of 2-(4)-2-3-1. Wearn looks good to go the distance at (7)-7-1-1-2 and, being a Western Australian in his twenties, he naturally has a nickname. Try Wearn Dog. For many a 2-2-5-9 scoreline would be a day of work well done. 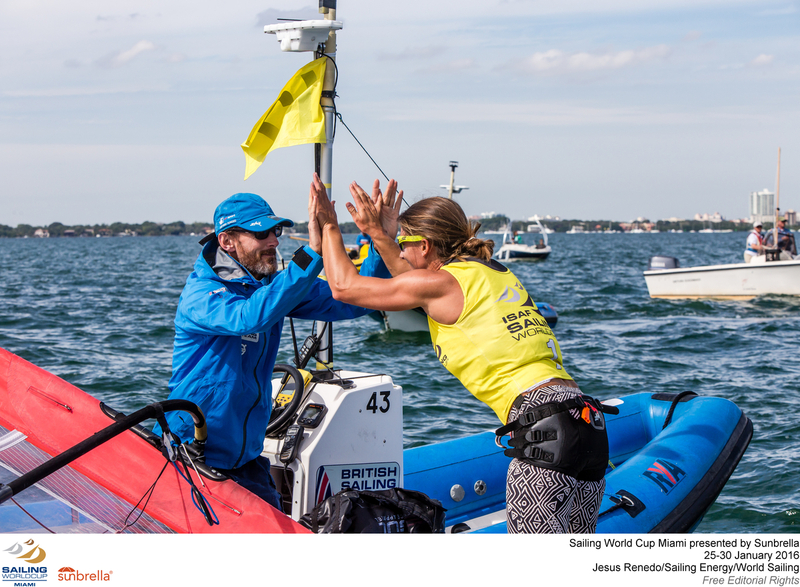 But for the Maloney, the ninth, which they discard, left her visibly frustrated, “We had a good downwind, gybing in pressure,” explained Maloney, “but I probably took it a little bit too far and gybed a bit too many times near the finish and we lost a few boats. That in mind, they’re still striving for me, “Tomorrow we are going to improve our starts by getting a good lane. If we do that, our results will improve,” concluded Maloney. 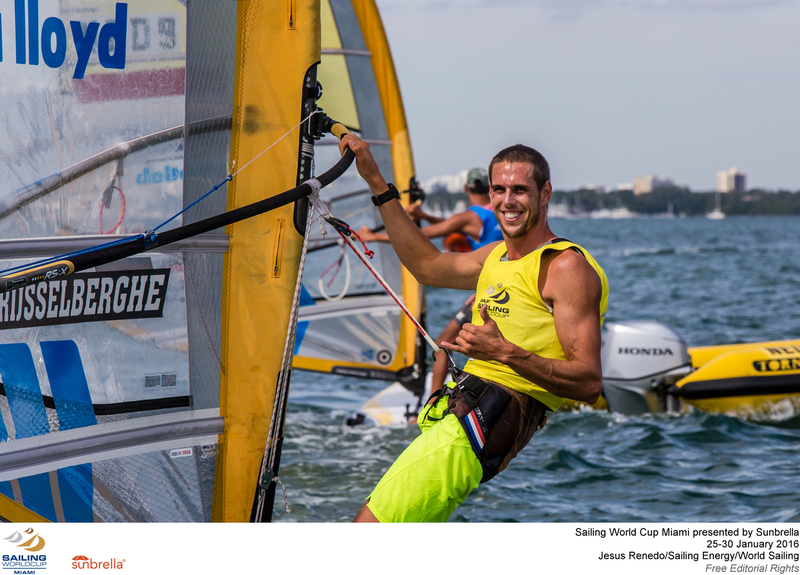 Consistency is king in sailing and after two days of racing, Diego Botin and Iago Lopez (ESP) are a fine example of that statement. 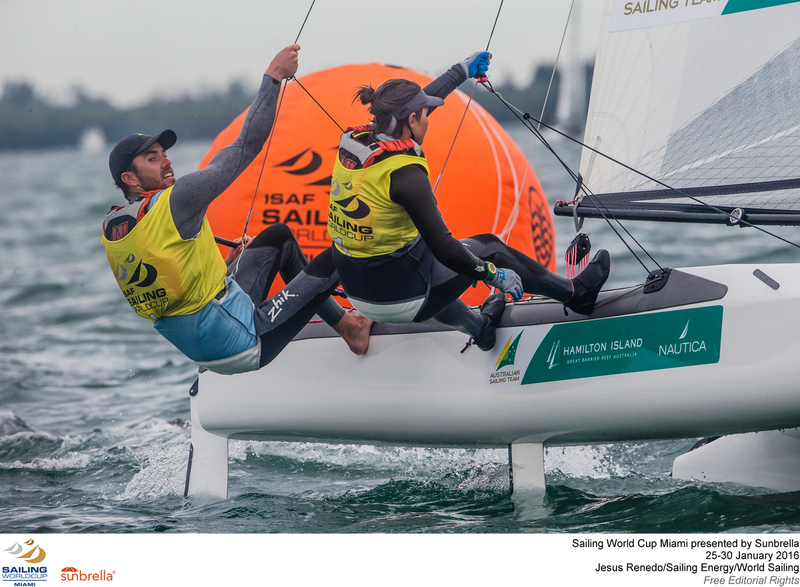 At the cut of mark Julien d’Ortoli and Noe Delpech (FRA), Yago Lange and Nicolas Aragones (ARG) and Canada’s Michael Brodeur and Daniel Inkpen all sneaked in to the gold fleet by a narrow two points. One of the biggest smiles of the day on the race course came from youngster Mattia Camboni (ITA). 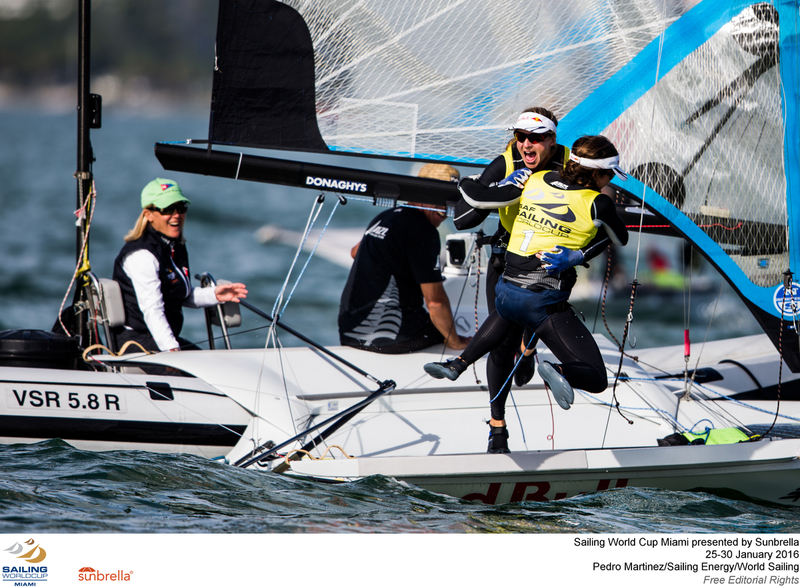 The 2013 RS:X Youth World Champion put in a hard fought performance in the fifth race of the yellow fleet. Working his sail hard on the run to the finish the Italian stormed to the race victory ahead of Ricardo Santos (BRA) and Nimrod Mashich (ISR). 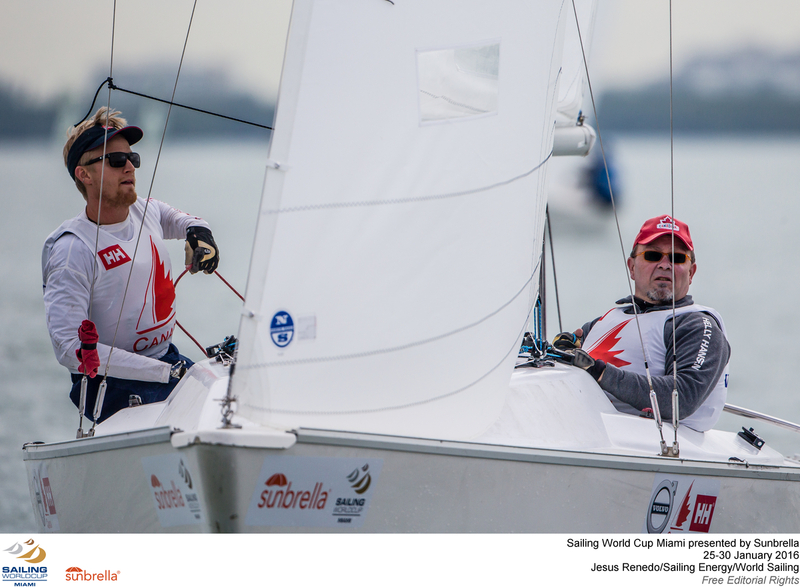 Giles Scott stumbled all the way to fifth in race four, but that did not alter the Finn class story line. 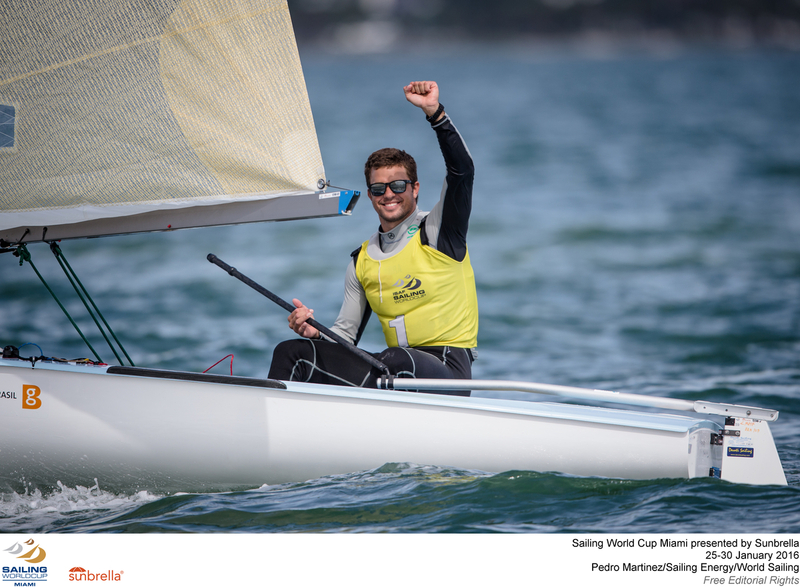 Britain’s gold medal hope, who has not lost a regatta in eighteen months, now has scores of 1-1-1-(5) and a lead of three points over Australian Jake Lilley-and Lilley has already used his throw-out. At ISAF Sailing World Cup Miami, that wouldn’t do. And why don’t they ever get the crew’s perspective? They do. Roger Hudson would probably rather have had his talking moment on Monday, when he and his skipper, Jim “Squirrel” Asenathi, placed 4th and 6th – and it was Asenathi’s birthday. 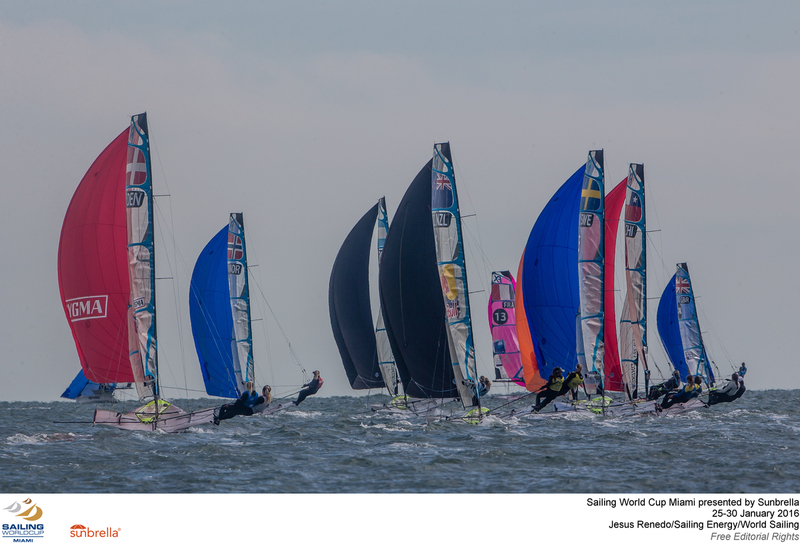 Two 13ths on Tuesday pulled the South African sailors down to 10th overall, but the experience jelled in Hudson’s analysis of the racecourse.